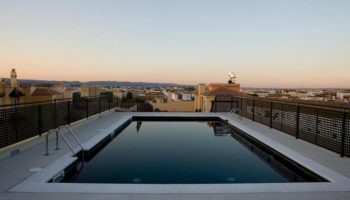 Whether you’re into sunbathing on beaches were beautiful blue Mediterranean waters caress the sand or like exploring medieval villages, Mallorca is sure to tempt your traveler’s taste buds. Mallorca is the largest island in the Balearic archipelago, drawing holiday makers from all over. The island is part of Spain, so you’ll obviously find Spanish touches here. 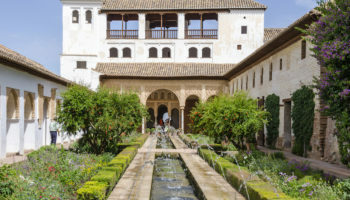 You’ll also find some traces of Arab and Roman history. Cala Millor is a popular holiday destination for Europeans and British families on the northeast coast of Mallorca. The island’s biggest tourist hotspot has one of the best beaches on the island. Cala Millor translates as “the better bay,” which is fitting since the beach here offers clear water and soft sand, just perfect for sunbathing. 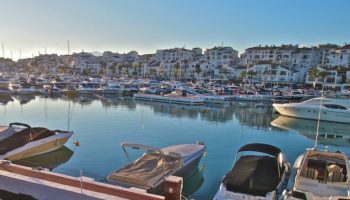 Tourism officials consider Cala Millor one of the livelier resorts on the coast, but livelier may be in the eyes of the beholder. In addition to live entertainment, some British bars offer bingo and quizzes. Still, plenty of discos are available for the more active. Perhaps it’s the scenic landscape that draws writers and musicians to Deia, a small village in northern Mallorca. Who could fail to be inspired by cliff-top olive and orange trees overlooking the Mediterranean Sea? This is where Robert Graves wrote Hercules: My Shipmate and Anais Nin wrote a story about the beach back in the 1920s. Today, noted authors have given way to rock stars such as Mick Jagger, some of whom jam with the locals at a Deia bar. 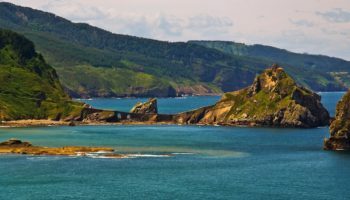 Enhance your relaxed spirit by walking the quaint cobblestone streets or hiking in the mountains. Magaluf is another playground for European visitors. 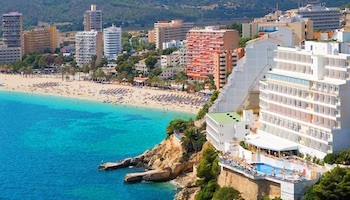 Located in southwest Mallorca, Magaluf’s white sand beach draws families as well as young adults, who frequently indulge in binge-drinking due to low booze prices. July and August are the most popular times to visit; most hotels close during the winter months. Because the resort is so popular, beaches can be crowded, but probably worth it for the tan you’ll get. Swimmers who can manage a quarter-mile swim can aim for Black Lizard Island. Located in the center of Magaluf Bay, the island is named for the numerous black lizards that scurry around. The craggy windswept peninsula that is known as Cap de Formentor is a treat for the eyes. There is something eerily beautiful in its green and brown starkness. Cap de Formentor is the northernmost tip of Mallorca. An 1863 light house guards the end of a winding road that has been called scary to drive. Conquer your terror and you’ll be rewarded with stunning vistas from atop cliffs 400 metes (1,300 feet) high above the Mediterranean, including Mallorca’s most inaccessible beach. Much more accessible is the white sandy beach of Formentor beach, home to the Hotel Formentor, a luxury property built in 1929. With its white-washed adobe Mediterranean buildings, Cala d’Or is considered one of the nicest resorts on Mallorca’s east coast. 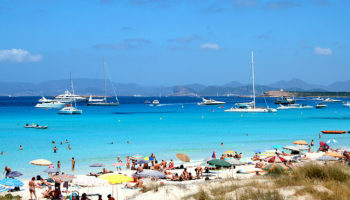 If the number of yachts parked there is any indication, Cala d’Or is also one of the wealthiest resorts. It’s popular with yachters because of its safe harbors. With great sandy beaches, Cala d’Or is one of the best places to visit in Mallorca. Compared to other Mallorcan beaches, Cala d’Or beaches are tiny, but there’s always room for one more. Boat trips are popular and provide access to beaches that are otherwise inaccessible. 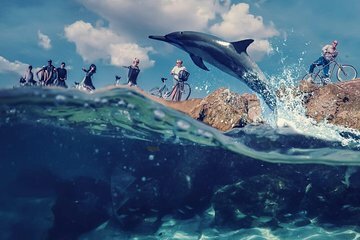 These are good places to dive and snorkel. Valldemossa, a small village located in the Serra de Tramuntana, is considered one of the prettiest towns in Mallorca. Narrow cobblestone streets are flanked with old houses punctuated with lush greenery and flowers in front. Images of St. Catalina Thomas, patron saint of Mallorca, adorn many doors. Valldemossa’s most popular landmark is a 13th century Carthusian monastery, Real Cartuja de Valldemossa, because Polish composer Frederic Chopin once lived there. Many other composers, writers and artists also have ties to Valldemossa, known for its summer festivals celebrating village saints. Valldemossa also is a good place to bicycle or hike in the mountains. If medieval villages are your thing, try Pollenca, a quaint town in northern Mallorca. The buildings are several centuries old and interspersed with narrow cobblestone streets. 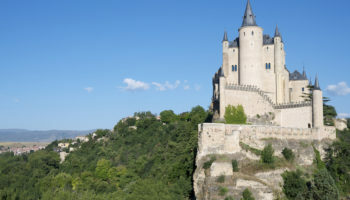 One of the town’s outstanding features is a 365-step stairway that climbs to the top of Calvary hill, with Good Friday activities involving a parade, reenactment of the Stations of the Cross and a mock crucifixion. The 13th century church, Our Lady of the Angels that was built by the Knights Templar, is a landmark on Placa Major, the town’s main square. Also notable is an 18th century Romanesque bridge to the north of town. Port de Pollenca lies a few kilometres to the north. It has a beautiful beach and a selection of restaurants and cafes to enjoy. The town of Alcudia is a very popular tourist destination in northern Mallorca. 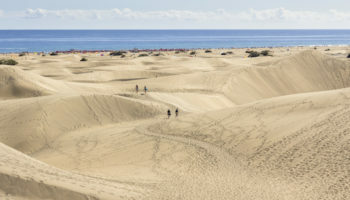 The atmosphere is family oriented, but it’s also great for anyone who likes beach activities and exploring medieval villages. Some houses in the walled village date back to the 13th century; the wall was added in the 14th century. Roman ruins can be found in front of the Church of St. Jaume. If you happen to be in Alcudia in early July, do take in the nine-day festival honoring St. Jaume. The festival offers many activities, including a night where everyone dresses up as ancient Romans. 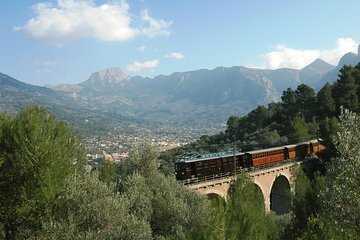 The traditional Mallorcan village of Soller is a popular day-trip destination from Palma, but be sure to take the 1912 narrow-gauge train when you come. Coming by car is either expensive due to high tolls or via a road with 57 hairpin turns. Once you get there, soak up the atmosphere of this quaint village that is surrounded by orange groves, known as the valley of oranges. (Be sure to try the local orange liqueur, Angel d’Or.) Soller boasts an art collection in the Can Primera and the Balearic Museum of Natural Sciences. The village hosts several festivals, including art and music. A charming tram links Soller with the popular resort area of Port de Soller, about 4 km (4 miles) down the road. Palma de Mallorca, usually shortened to just Palma, is home to half the island’s population as befits a capital city. This charming town, with its colorful buildings, is a good place to learn about history, since it’s been settled or conquered by peoples from the Romans to the Christians. Vestiges of each culture can be found in the old town, which is famous for La Seu, a massive 13th century cathedral that was built on a mosque. Take time to wander through the old town with its narrow streets; you’ll find unique galleries, cafes and shops to tempt your tourist dollar.